Its a wide world out there. To cover that world, sometimes, your kit lens will not suffice. Also, shooting ultra-wide is a joy that your kit lens may not give you. At 10mm (or say 16mm on full frame), its like seeing the world in an entirely new way. We are thinking of creating a series where we feature interesting places in their widest wonderfulness. With pictures and a few words, we expect to teleport you to those wonderful places. Of course, if you intend to go there yourself, we will include directions as well. 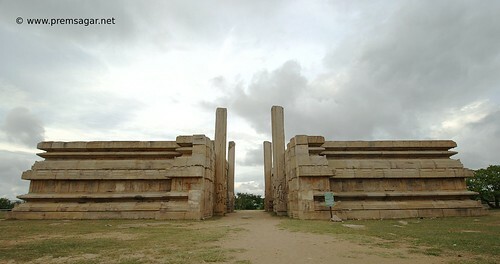 We are starting with a very interesting place in Karnataka called Melkote. NOTE: You could write for us as well. 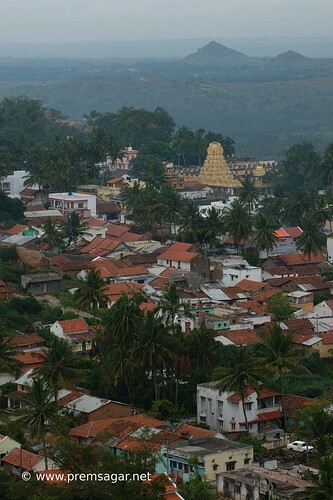 Melukote or Melkote is a quaint old temple town in Mandya district in Karnataka, 145 km from Bangalore. 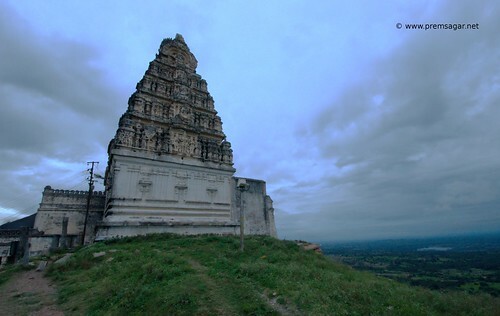 The town has 2 temples, that of Cheluva-Narayana Swamy below and Yoga-Narasimha Swamy at the top. 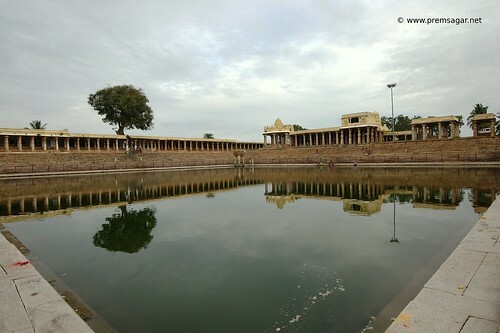 The temples and the Kalyani (pond) form the epi-center of activity here, mostly religious and as its offshoot.. commercial. A town that literally falls asleep by 8pm, with narrow streets that can accommodate no more than one vehicle at a time and people who have plenty of time to spend at the pond, Melkote is a laid back place. Life here is uncomplicated and strikingly simple. But when it comes to heritage value and beauty, this place is a little dynamite, packing many interesting things into a smallish area. Also, there is so much on the way between Mandya and Melkote. 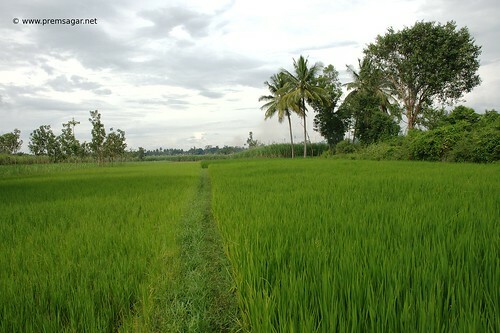 Lush green paddy fields, village life in all its glory and beauty, lakes, channels and ponds on the way, richness of bird life… the route alone has a lot to offer. It would be such a pity if you zip past all these in an urge to see just Melkote. Slow-down, soak-in, let the place decide where you should stop, what you should do and how long you should linger on the way. Spend time on the route. 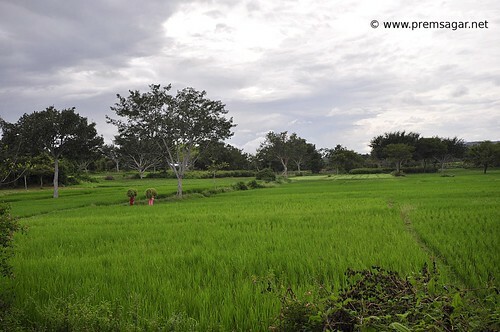 Once you reach Melkote, places to see are plenty. A few are listed below. At the same time, we would urge you to just go out and explore… perhaps you would come back more enchanted than us. The temple at the top! The temple you see in most photos! There are steps that lead to the top. Steep and quite a climb, but should not take too long. 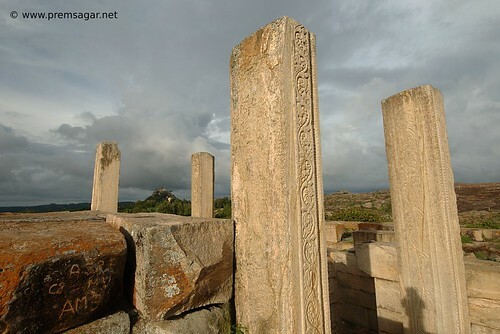 Do take a torch with you, if in case, you plan to visit in the evening and spend more time at the top. When we started the descent, the power went off and it was pitch dark. 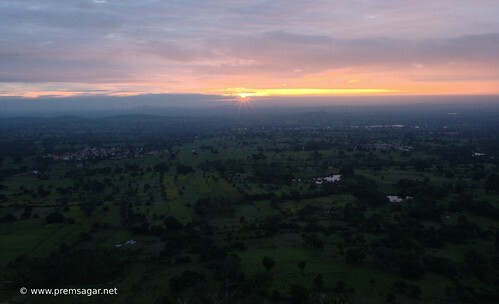 The view of the lowlands from the top is fantastic, esp at Sun rise and sunset. The deity at the base of the hill, Cheluva-narayana here is pretty interesting as well. 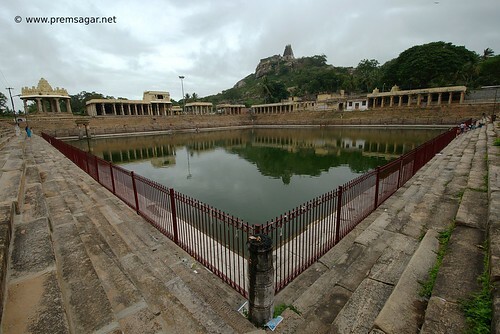 The beautiful pond near the Cheluva-narayana swamy temple. It has an unmatched charm to it. Early morning spent here can be very peaceful. 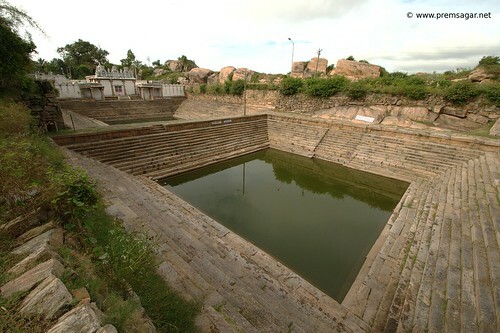 The Kalyani is full of life with activity – priests getting ready, people performing ablutions, puja, meditations, etc. Also, you get a nice view of the hill temple from here. Local folklore says that it was built in a single night. Unfinished but interesting structure of large and heavy stone blocks. Local guy hanging out there mentioned a few movies shot in the area – Padayappa, Guru, Shivaji, etc. Ask anyone for directions. 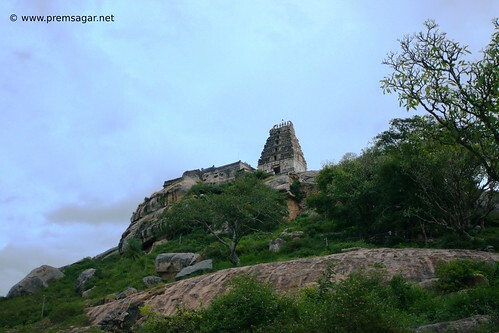 5 min walk from the Cheluva-narayana temple. The view from the top of the Gopura is interesting too. Literally translates to elder and younger sister ponds. Located next to each other, just below the Raya Gopura. 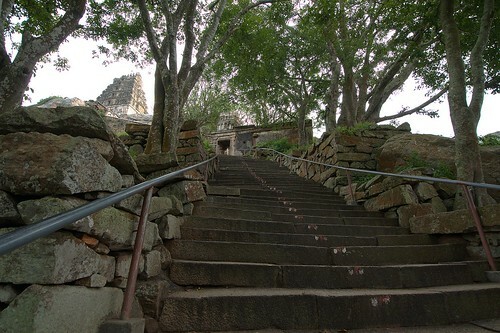 Their symmetrically built steps are brilliant… just like the Kalyani. Smaller in size compared to the Kalyani. Any discussion on Melkote is incomplete without discussing Puliyogare (tamarind rice) and the delicious Sakkare pongal (sweet rice dish). Our not-so-exhaustive research tells that Subbanna mess is the best place to eat both of them along with their special Mango chutney. Their timings are 8am to 4pm only. They also sell the puliyogare mix and gojju in packets. If you are late to the town and find Subbanna mess closed, perhaps, you can try the Ganapathi mess nearby. Beyond 7pm, your options are very few, the ordinary Sudarshan hotel being one of them. Rates are reasonable throughout the town. Tricky question if you are a gang of bachelors. For families, the Sanskrit academy at the base of Raya Gopura has a few cottages that they rent out for the night for a donation (~500-1000 Rs). This, of course, if you look and behave like a gentleman in front of the officer there and if you have a bit of luck too. Each cottage has 2 bedrooms, a hall and a dining room. Each bedroom has 2 beds. There is a yatri nivas too, which should provide accommodation to everyone. Apart from this, we doubt if there is any ‘regular’ accommodation. However, locals do provide accommodation to people as and when they feel like it. And if you are left without options to stay, all you need is a sleeping bag to spread on the temple verandah and sleep. You will have company on busy days for sure. Throughout the year, we safely guess. But the festive period is either a no-no if you are *just* a traveler or a yes-yes if you are religious. Vairamudi festival is attended by almost half a million people and it can get really really really congested in the narrow lanes of the town. Thank you for reading. We are always trying to improve our blog. Please let us know your feedback. Also, if you are a writer / photo-blogger, please do write to us with your entries for publishing here.